The State Department appointed 194 of Hillary Clinton’s donors to advisory boards at the agency while she was secretary of state. 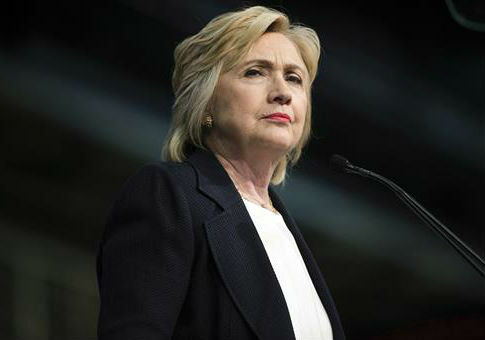 These donors gave money to either Clinton’s political campaigns, the Clinton Foundation, or both, or they were affiliated with organizations that did donate, the Washington Examiner reported Tuesday. The 194 donors represented approximately 40 percent of the total 511 such advisory appointments during Clinton’s tenure. Although this is a common practice among both parties, the report is likely to fuel pay-to-play accusations that foundation donors received special access to the State Department while Clinton was secretary. The Washington Examiner highlighted specific individuals who received such appointments despite being ill-qualified. One individual, Kaki Hockersmith, was appointed to the United States National Commission on UNESCO, a component of the United Nations that focuses on building international peace. Hockersmith collected at least $100,000 for Clinton’s 2008 presidential campaign. Another donor was Ken Miller, who was appointed to the International Economic Policy Board in 2010. Miller used to be on the board for Merrill Lynch. While Clinton was secretary of state, Miller joined Teneo Holdings, which hired top Clinton aide Huma Abedin a month before Miller asked if he should join. Miller has been donating to Clinton since she ran for the U.S. Senate. Another appointee to UNESCO by Clinton was Sara Ehrman, who gave up to $10 million to the Clinton Foundation. The appointment of Rajiv Fernando to the International Security Advisory Board by Clinton’s chief of staff, Cheryl Mills, has been heavily criticized because Fernando had no experience or credentials qualifying him to work on highly sensitive national security matters. Fernando has been a fundraiser for Democrats and the Clinton Foundation. This entry was posted in Politics and tagged Clinton Foundation, Hillary Clinton, Secretary of State, State Department, UNESCO, United Nations. Bookmark the permalink.